[toc]Osteoarthritis results from the wearing down of muscular joints in the body. It may result from excessive muscular strain, excess weight or even the aging of the human body. Medical intervention is critical in the treatment of osteoarthritis but herbal remedies can also help in dealing with the soreness, stiffness and pain felt in the joints in a person suffering from this disease. Herbs which can be used as a remedy for osteoarthritis include Cat’s Claw, Turmeric, Devil’s Claw, Stinging Nettle, Feverfew, White Willow Bark, Boswellia, Brittlebush, Meadowsweet, Wintergreen, Licorice, Yucca, Winter Cherry, and Black Cohosh. 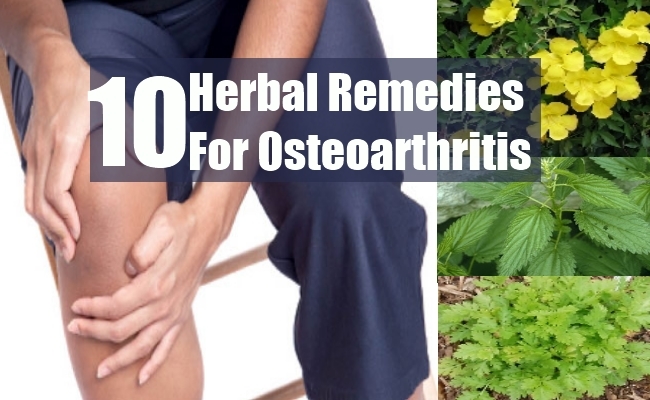 This article will explain some of the top herbal remedies which you can take for alleviating the pain and stiffness of joints experienced in osteoarthritis. Uncaria Tomentosa is the Latin name of this useful herb which can relieve the ache and stiffness felt in persons who have osteoarthritis. This is because this herb inhibits the production of inflammation causing tumor necrosis factor alpha(TNF alpha). TNF alpha is a chemical which causes the inflammation and pain experienced in diseases such as osteoarthritis and rheumatoid arthritis. This herb is native to South America and the vine of this herbaceous plant is made into supplements or extracts which can be used to undo the pain caused by osteoarthritis. The leaves and stem of this herb contain a vast amount of medicinal properties. This herb is referred to in botanical terminology as Urtica Dioica and it is native to numerous regions including Asia, North America and Europe. This herb reduces the pain and inflammation felt by persons who have osteoarthritis. Ingesting Stinging Nettle leaf extract or rubbing it on the parts affected by the disease can help a person to overcome pain. 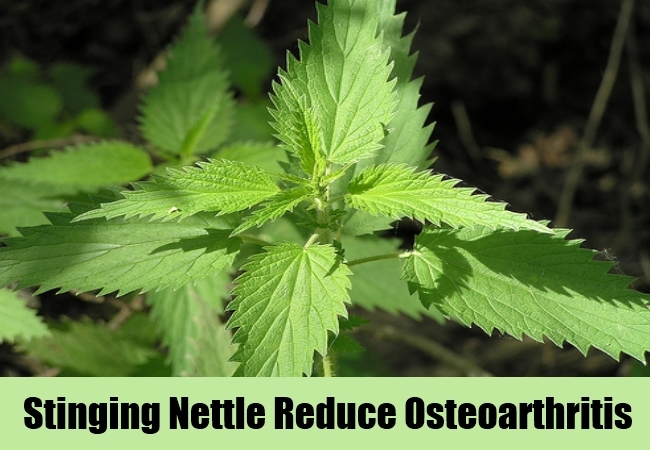 Stinging Nettle is sometimes used in conjunction with allopathic medication to alleviate pain. Devil’s Claw is a South African herb. This herb is very effective in reducing the aches and pains when a person has been diagnosed with osteoarthritis. This is because this herb contains an active ingredient called harpagoside which reduces not only pain but also inflammation in the joints of a person affected with osteoarthritis. This herb is available in both powder form and capsule. You can take this herb in either of the two ways. However, this herb does cause gastric problems when taken in excess and it also lowers blood sugar levels. Do consult a doctor before using this herb in combination with medication. Turmeric is a herb with many wondrous healing properties. It contains curcumin which helps in reducing swellings and inflammation. Besides being anti-inflammatory, Turmeric is also antiseptic in nature. This herb can lessen the inflammation and pain felt in the joints in osteoarthritis. Turmeric has no side effects and it is safe to use. In fact, this herb is used as a common culinary spice in India. You can apply Turmeric paste made from the powdered form of this herb to the affected areas. A patient suffering from osteoarthritis can also crush the rhizome of this herb into a fine paste and apply this on the aching and inflamed joints for quick relief. 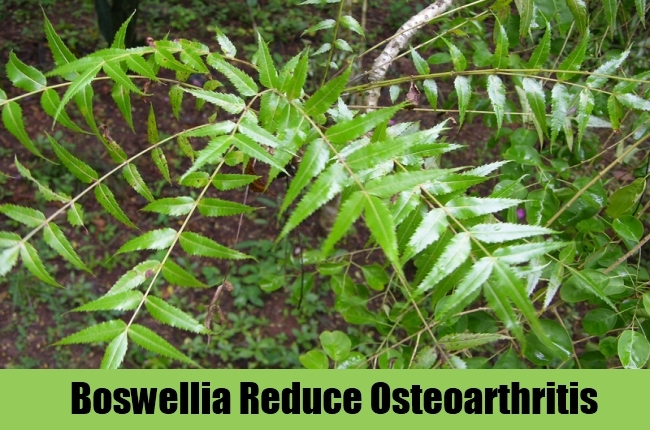 Boswellia also referred to as Indian Frankincense is a herb which is found in India. You can use the resin of the bark of this herb as a paste for application on the affected joints. This helps to relieve the pain and swelling that is a defining feature of osteoarthritis. 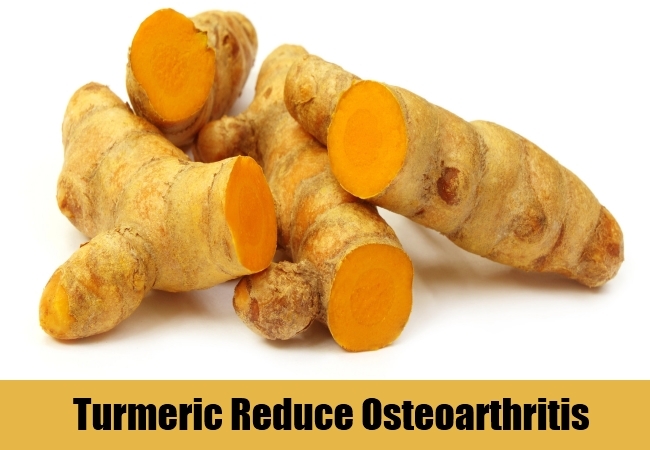 This herbal remedy is very effective for osteoarthritic patients because it has anti-inflammatory properties. It is also an analgesic which helps to relieve pain and reduce the throbbing ache in the joints. Feverfew is a herb native to Europe, Australia and North America. This herb has medicinal properties and its leaves, flowers and stem have many remarkable healing properties. Tanacetum Parthenium is the botanical name by which this herb is referred to. It is also commonly called Bachelor’s Button. The Greeks classified this herb as a natural anti-inflammatory remedy for pains and swelling. The leaves of this herb can be boiled in water and the compress dipped into this solution can then be applied on the joints which are paining and swollen. 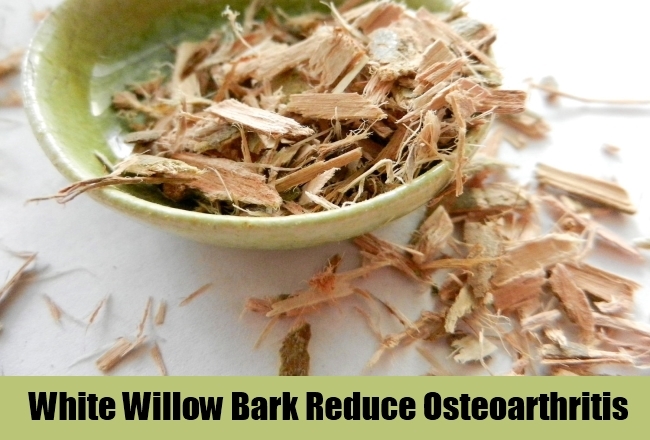 Willow Bark has been used since ancient times as a pain reliever. The bark of the White Willow herb contains salicin and flavanoids which are said by researchers to be chemical compounds critical in relieving the pain and swelling in patients who have osteoarthritis. You can grind the bark into a paste like consistency and apply this healing mixture on the joints which are painful and stiff. White Willow known by the Latin name Salix Alba is also known as European Willow. Research has shown that the bark of the White Willow is able to provide significant pain relief in persons who have osteoarthritis. Yucca is a herb with anti-inflammatory and pain relieving properties. 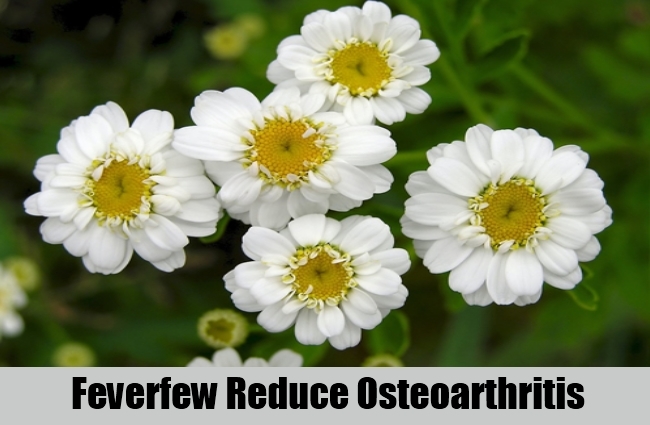 This herb reduces osteoarthritis symptoms such as pain, swelling and stiffness. Also called Adam’s Needle and Spanish Bayonet, this herb has healing powers. You can use the bark of this herb in crushed form along with Lavender oil as a paste which can be applied topically to the joints of your body to ease the soreness and inflammation. 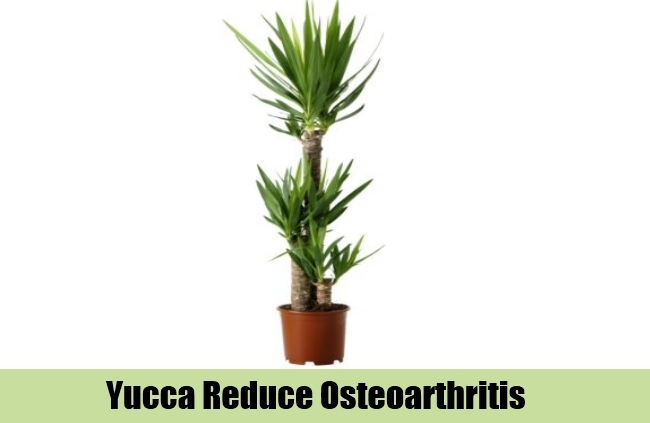 Yucca is a very effective herbal remedy for osteoarthritis. The root of this herb is very effective in bringing on anti-inflammatory action which soothes and heals the painful and stiff joints in a person affected by osteoarthritis. Known by the scientific name Glycyrrhiza Glabra, this herb has flavanoids which help to reduce pain and inflammation. 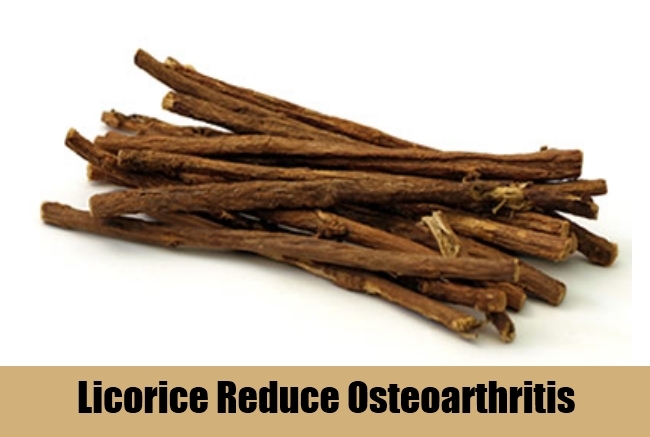 Called Sweet Root, Licorice Root is a unbeatable herbal remedy for dealing with the symptoms of osteoarthritis. You can crush this root and seep it in warm water for about 20 minutes. You then need to apply a cloth dipped in this solution onto the areas affected by osteoarthritis to get relief from the swelling and pain. 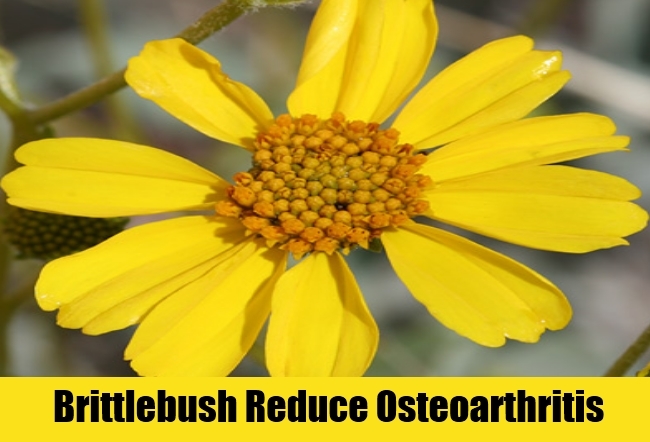 Brittlebush is an herb which has been an ancient Native American remedy for curing the pain in joints and limbs. This herb is especially effective when the joints are paining following cold and damp weather. This herb can be used effectively for lessening the pain seizing the joints. You can make tea from the leaves of this herb. The sap of this herb can also be made into a salve which can be applied on the painful joints. Gently massaging the salve into the areas of the body which are paining can help to soothe and heal the ache.